FFA - Lutheran Church gives office space to terror-linked CAIR. Click here to send your email to educate Bethany Lutheran Church Pastor Mike Matson and Evangelical Lutheran Church in America officials regarding CAIR’s history and encourage them to break relations with CAIR. Muslim group CAIR finds new home at Bethany Lutheran Church in Mpls. The Seward neighborhood location offers more space, is closer to clients and, CAIR staff members hope, serves as a sanctuary. CAIR held an open house last week to celebrate its new office in Bethany Lutheran Church in Minneapolis’ Seward neighborhood, a location that offers more space, is closer to clients and, CAIR staff members hope, serves as a sanctuary. The alliance comes amid heightened fear and uncertainty for local Muslims, as hate crimes against them rise. On Friday, President Donald Trump issued an order temporarily barring refugees from entering the country. Officials with the civil rights organization and the church hope they can work together to undercut discrimination. The Rev. Mike Matson, pastor of Bethany Lutheran Church, said the congregation has parishioners from across the political spectrum and strives to be open and “willing to come to the middle … where it’s messy, but safely and with integrity.” He said it’s unfortunate there is such anger and division in the country. 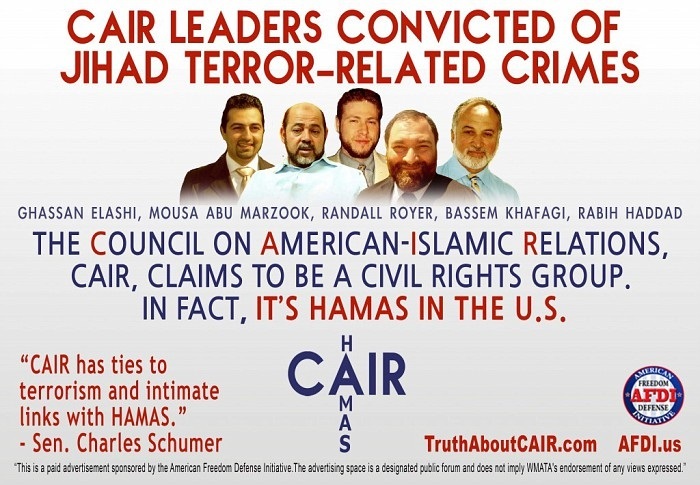 • The United States Department of Justice named CAIR as “unindicted co-conspirators and/or joint venturers” in a criminal conspiracy to financially support Hamas in United States vs Holy Land Foundation. • CAIR has many leaders who have been sentenced to prison and/or deported for supporting terrorism. • CAIR has numerous leaders who have defended terrorists that have been convicted in American courts. • CAIR is working hard to make Sharia law legal in American courts and accepted by Corporate America. • To read the many reasons why Americans are concerned about the Council on American Islamic Relations click here. Pastor Mike Matson received his ordination from the Evangelical Lutheran Church in America in September 2012. Florida Family Association has prepared an email for you to send to Bethany Lutheran Church Pastor Mike Matson and Evangelical Lutheran Church in America officials that provide the facts regarding CAIR. The email politely encourages Pastor Mike Matson and Evangelical Lutheran Church in America officials to read the facts and break their relations with CAIR.